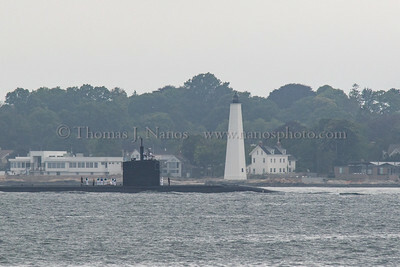 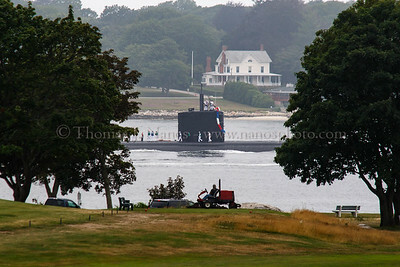 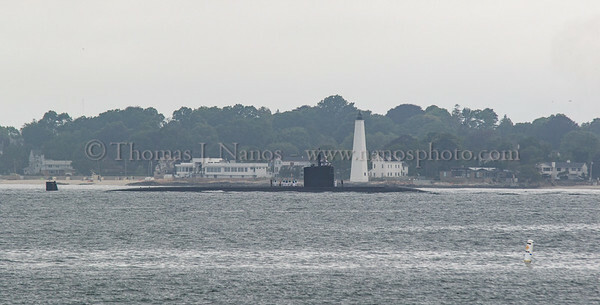 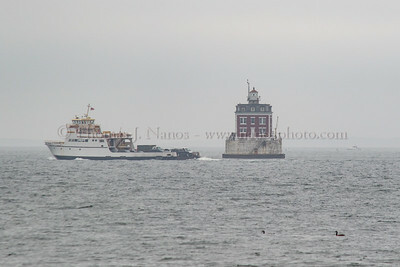 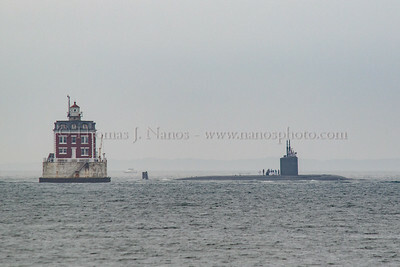 The US Navy Los Angeles class fast attack submarine USS Springfield (SSN 761) returns from a deployment to the Sub Base in Groton, Connecticut as a groundskeeper at the Shenecossett Golf Course takes a break from mowing, by watching the submarine pass by. 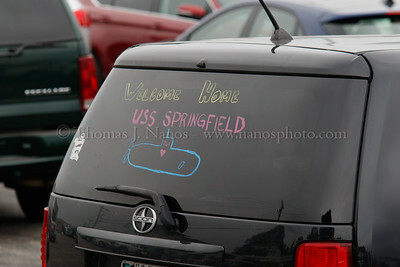 A welcome home message on the rear of a Springfield crew member's family car. 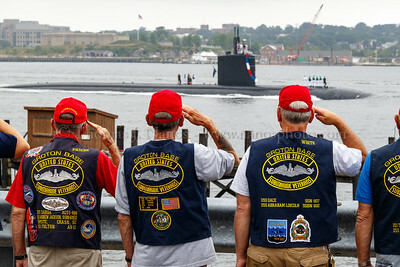 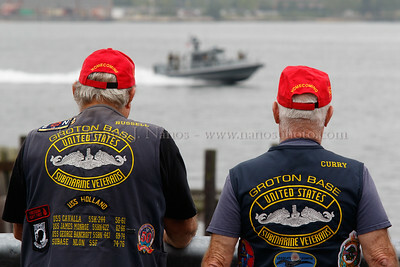 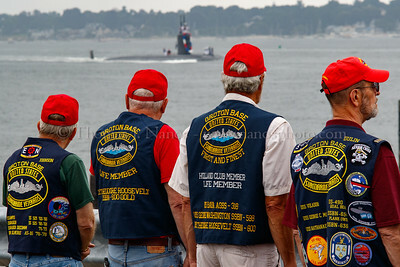 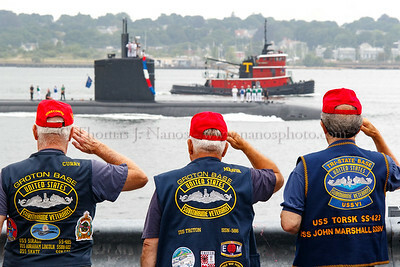 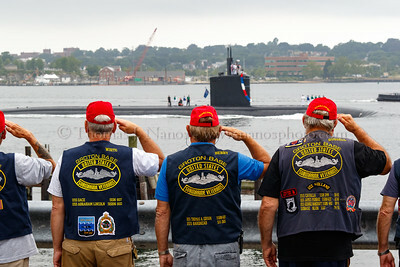 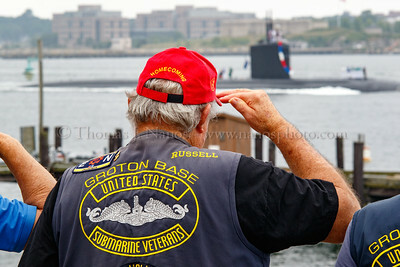 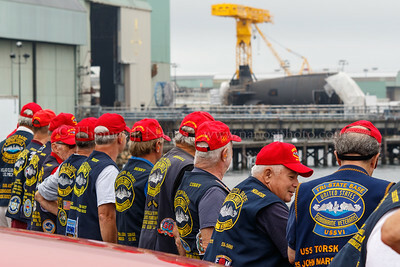 A group of Submarine Veterans gathered at an overlook north of the Electric Boat shipyard in Groton. 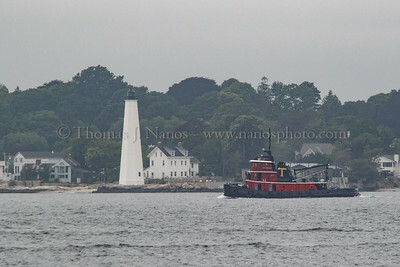 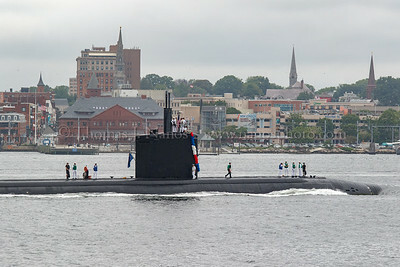 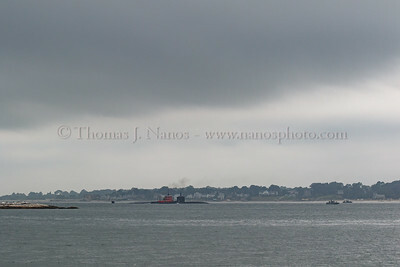 Visible in the background is the aft hull section of a future Virginia class submarine.